Welcome to the ‘Autumn 2018’ newsletter. We hope you are enjoying the season so far. It certainly looks like Maurizio has hit the ground running, and long may it continue. This edition highlights some of the good work that has been carried out by the Trust, particularly the important meetings with the club and the Premier League. Of course, we also reflect on the great response to our annual survey. 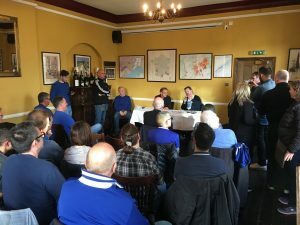 The results of the recent Chelsea Supporters Trust Board election and the voting on each CST Motion, as proposed in the AGM of 12th August have now been released. We trust the membership will extend a warm welcome to new Board members Paul Hay, Theresa Magee and Robert Palmer and to the returning Board members as well. The first meeting of the new Board was held on Tuesday October 2nd where David Chidgey was re-elected to serve his third year as Chairman. Paul Jeffrey will remain in position as Secretary. The Board agreed to co-opt the following to the Board: Tim Rolls; Stuart Kinner; Ramzi Shammas; Isabella Hislop; Lucy Caton and Debs Coady. In addition, we have now received the results of the voting for the Motions from the Board. This gives the new Board a very strong mandate from the membership going forward on the supporter issues that affect them most. To all of our members who took part in the AGM, the election of the Board and for voting on the Motions, many thanks. This democratic process is exactly what sets the Chelsea Supporters Trust apart in that we are answerable to the membership and we work on the issues mandated by the membership. During the election process of the Chelsea Supporters Trust the Board submit to the membership a number of issues which arose in the 2017/18 season and/or were raised in a review of the results of the Annual survey completed in May 2018. The background to a number of these issues, and details of progress in the past twelve months, can be found in the 2017/18 Chelsea Supporters Trust Annual Report. The membership then vote on each motion and they become the stated policy of the board for the next 12 months and provide us with a mandate to work towards achieving these aims on behalf of the membership. These are the motions which were all successfully passed in the recent CST elections. The Chelsea Supporters Trust accounts for the year ended 31/5/18 are approved. Provided revenue remains below £100,000 p.a., in line with accepted practise the Chelsea Supporters Trust Board should continue to appoint an independent examiner at the end of each financial year, rather than an auditor. 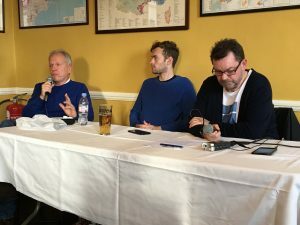 The Chelsea Supporters Trust should continue to affiliate to Supporters Direct and the Football Supporters Federation, work with these organisations as appropriate to further the interests of Chelsea supporters, and football supporters in general and take part in national and local campaigns as deemed appropriate. Motions 4-17 are submitted to the membership following issues which arose in the 2017/18 season and/or were raised in a review of the results of the April 2018 membership survey. The background to a number of these issues, and details of progress in the past twelve months, will be contained in the 2017/18 Chelsea Supporters Trust Annual Report, to be circulated to voting members in advance of the AGM. The Chelsea Supporters’ Trust Board notes that the Stamford Bridge redevelopment project has been put on hold indefinitely. The CST board is mandated to continue to work with the club and other relevant stakeholders to ensure a commitment that supporters are at the centre of any further discussions about the future of the ground and that supporter opinion is properly and openly taken into account, with particular emphasis on the continued enjoyment of the match day experience, facilities and ticket pricing going forward. The Chelsea Supporters’ Trust Board re-affirms its support of and commitment to the aims and importance of the Chelsea Pitch Owners (CPO) in the continuation of Chelsea Football Club at its home, Stamford Bridge. With recent developments relating to the postponement of the development of a new ground on the site of Stamford Bridge, the ‘Board’ actively encourages all members of the ‘Trust’ to buy shares and become a Chelsea Pitch Owner, to safeguard its long-term future. It is mandated to continue to work with the CPO board, and other appropriate bodies, to ensure that the CPO remains relevant to future generations of supporters and to encourage the increasing accessibility of shares to supporters of all ages and backgrounds to expedite this. The Chelsea Supporters’ Trust Board congratulates the work of the Football Supporters Federation and other Supporters Trusts in the developments around the introduction of safe standing this year. The Chelsea Supporters’ Trust Board is mandated to continue to support and contribute to the united effort of fans groups to see the introduction of safe standing in the top three tiers of English football. 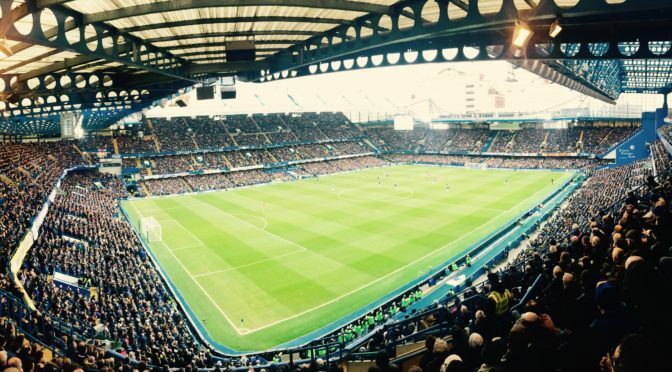 With particular emphasis on Chelsea the Chelsea Supporters’ Trust Board is mandated to press the Club to take a leading role in the support of safe standing and to introduce safe standing sections at Stamford Bridge as soon as is practicable, in line with national developments on the introduction of pilots for safe standing. 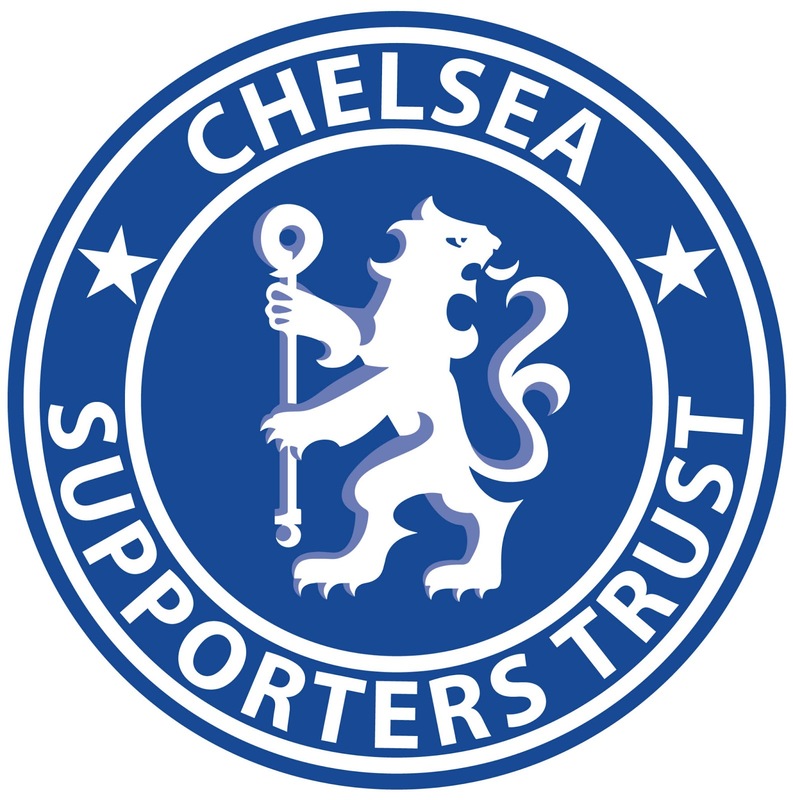 The Chelsea Supporters’ Trust Board is mandated to continue to work with the club and other supporters groups looking to improve the atmosphere at Stamford Bridge, as appropriate and to encourage the club to continue dialogue with supporters in respect of ‘singing sections’, flag and banner displays and other supporter driven initiatives to encourage atmosphere in the ground. The Chelsea Supporters’ Trust Board is mandated to pursue the issue of fair ticket pricing and ticket allocation for home and away, as well as matters including, but not limited to, rearranged fixtures, away fan travel and stewarding/policing, through whichever channels they deem appropriate. These channels include, but are not necessarily limited to, Chelsea FC; the Premier League; the Football Association; relevant television companies; other Supporters Trusts; the Football Supporters Federation and Supporters Direct. Due to the increasing cost and inconvenience to match going supporters caused by the short notice of Premier League games rearranged to suit the television companies, more notice needs to be given for such rearrangements, published announcement deadlines need to be strictly adhered to and the potential for away supporters to use public transport should be a key consideration when compiling fixtures and anomalous fixtures (e.g. midweek trips to the other end of the country) need to be minimised or eradicated. 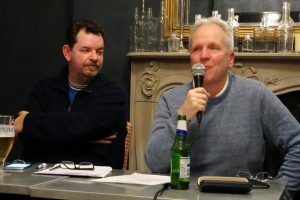 The Chelsea Supporters’ Trust Board is mandated to work with the Football Supporters Federation, other supporter’s trusts and appropriate bodies, inside and outside football, to vigorously campaign for supporter impact to be a key criterion when Premier League fixture schedules and television picks, are drafted. The Safety Advisory Group (SAG) is a statutory council-led committee set up under the Safety of Sports Grounds Act 1975. 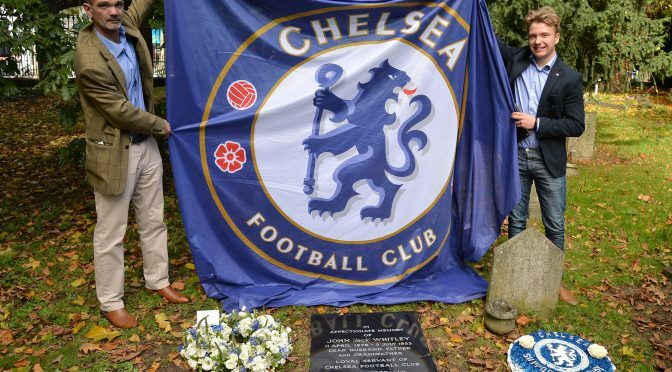 The Chelsea SAG has representation from the London Borough of Hammersmith and Fulham, Metropolitan Police Service. British Transport Police, London Fire and Emergency Planning Authority, London Ambulance Service, St John’s Ambulance Service, the Sports Ground Safety Authority and Chelsea FC. 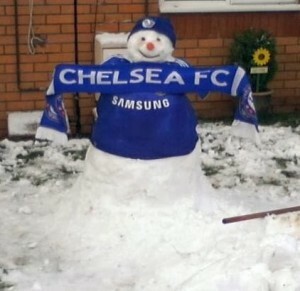 It meets twice a year to discuss relevant issues with regard to Chelsea Football Club. 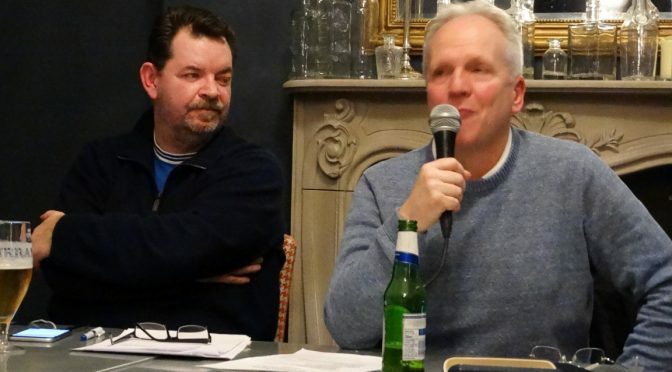 After representations to the local council in late 2015, the Chelsea Supporters Trust now have the opportunity to review the SAG agenda, submit items for discussion and review the meeting minutes. The Chelsea Supporters’ Trust Board believe, while this is progress, there is no valid reason whatsoever why full membership should not be granted and are mandated to push for this. The Chelsea Supporters’ Trust Board is mandated to use its involvement with the relevant authorities with a view to reducing the activities of ticket touts in the Fulham Broadway area before Chelsea home games and to participate in campaigns designed to achieve this. It is also mandated to work with organisations represented on the SAG to assist in educating potentially vulnerable groups in the perils of purchasing tickets in this way, or through using unofficial on-line ticketing organisations. The Chelsea Supporters’ Trust Board has made some progress since its inception in terms of building relationships with relevant stakeholders at a local and national level. The board is mandated to build on this work and to develop relevant effective working relationships with Chelsea FC; Hammersmith and Fulham Council; Local Members of Parliament; Metropolitan Police Service; British Transport Police; Premier League; Football Association; relevant broadcasting organisations; the Department for Culture, Media and Sport and other bodies as deemed appropriate. Where deemed to be more effective (e.g. with the Premier League, FA, broadcasting organisations and DCMS), these relationships are to be built working in conjunction with other supporters trusts or other appropriate organisations. 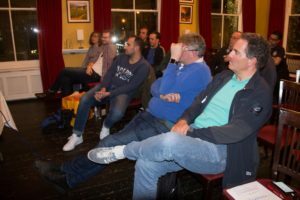 The Chelsea Supporters’ Trust Board is mandated to participate in and support appropriate activities designed to promote football, Chelsea FC and its supporters in the community local to Chelsea FC. This could, for example, take the form of charitable work or through supporting specific supporter based campaigns as they arise. 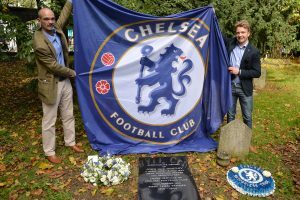 Building on the Brompton Cemetery Chelsea Graves project, the Chelsea Supporters’ Trust Board is mandated to work with the club, club historian Rick Glanvill and other appropriate bodies/individuals to identify appropriate projects to reflect and enhance the club’s heritage. The Chelsea Supporters’ Trust Board has had representations from supporters clubs in the UK and abroad with regard to the perceived unfairness of the ticket allocation by the club to different categories of supporters club. They are mandated to work with affiliates, and other supporters clubs. In the UEFA Supporter Liaison Officer (SLO) Handbook, the SLO role includes the following responsibilities: being a bridge between the fans and the club; informing supporters of club decisions and communicating the fans’ point of view to the club; and building relations with fan groups and initiatives as well as with police and security. At many Premier league and Football league clubs the role is independent and effective, seen as representing the supporter perspective in dialogue with the club. The Chelsea Supporters’ Trust Board firmly believes that a fully-independent SLO, with no conflict of interest, representing supporter interests and no other, is essential in properly fulfilling the UEFA remit and optimising effective supporter dialogue. 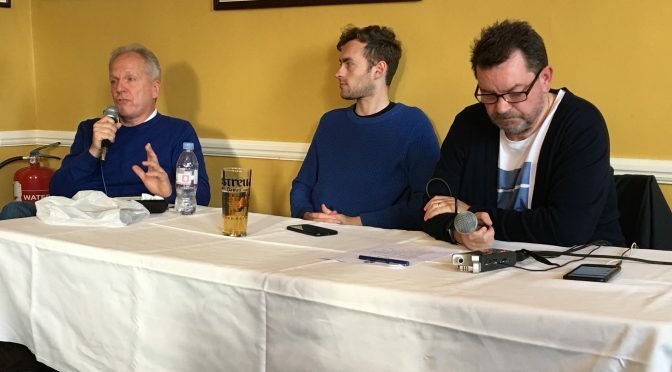 The Chelsea Supporters’ Trust Board is mandated to continue dialogue with the club, and other appropriate bodies, to encourage Chelsea FC to look at making the SLO position independent in line with other Premier League clubs. The Chelsea Supporters’ Trust Board is mandated to engage in dialogue with the club to ensure that the safety of our supporters traveling abroad is adequately considered and of an appropriate level. By doing so we hope to allow shared experiences from other supporters’ trusts from their trips to similar locations so that lessons can be learnt on issues such as travel arrangements, ticket collection, policing, stewarding, security, as well as access and egress of stadium. Notice is hereby given that the Annual General Meeting of the Chelsea Supporters Trust will be held at 14:00 on Sunday 19th August 2018 in the Hollins Suite, Millennium Reception, West Stand, Stamford Bridge, Fulham Road, London, SW6 1HS. All members are welcome to attend the AGM but we must have confirmation that you will be attending no later than 10.00 pm on Thursday 16th August as Chelsea FC require us to provide a list of attendees for security. If you turn up without having confirmed your intention to attend by the time above you will not be admitted to the meeting. Directions to the Hollins Suite can be downloaded here. The agenda is reproduced below and can also be downloaded here. The standing orders for the AGM can be downloaded here. Candidate manifestos are available to download here. The draft accounts and annual report will be circulated to members by email in advance of the meeting. Notice is hereby given that the Annual General Meeting of the Chelsea Supporters Trust will be held at 14:00 on Sunday 19th of August 2018 at the Hollins Suite, West Stand, Stamford Bridge, Fulham Road, London, SW6 1HS. The board elections will be contested as there are 10 candidates standing and 9 positions available. Individual positions on the board will be agreed by the board following completion of the election process. Voting will take place online in the 2 weeks preceding the AGM. By agreement of the candidates, the contents of a candidate’s manifesto are their sole representations. The candidate manifestos can be found at appendix 1 to this document and here [LINK]. They will also be available online for the duration of the election process. The manifestos will not be read out at the AGM, however, should a candidate wish to clarify any of the contents of the manifesto, they will be given the opportunity to do so. As per paragraph 8.2 of the CST Election Policy, the highest placed candidates in terms of total votes as equal to number of places available for election declared by the Board shall be deemed elected. There are 10 candidates standing for 9 positions on the Board. The 9 candidates to receive the most votes will be elected. By order of the Chelsea Supporters Trust (CST) Board, notice is hereby given, that it is the intention of the CST to hold an AGM and an election for the board of the society for the 2018/19 season. The AGM will take place on the weekend of 18/19 August 2018. The date will be confirmed once fixtures scheduled for that weekend are announced. The AGM will take place on the alternate day to the Chelsea fixture. 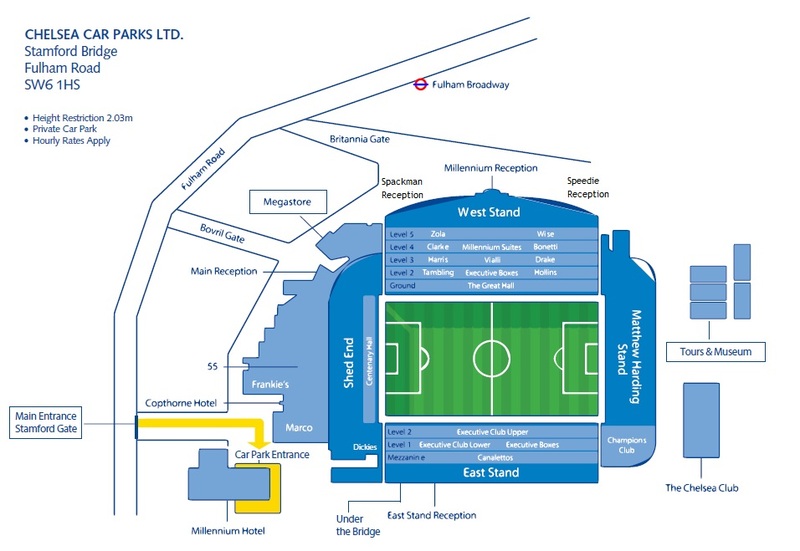 The venue for the AGM will be The Hollins Suite, Stamford Bridge. The agenda for the meeting, along with motions to be voted upon, will be announced no later than Monday 6th August 2018. All motions from the floor must be in accordance with the aims and objectives of the CST and must not act to the detriment of the CST. The Board Election will coincide with the CST Annual General Meeting which will occur on the same date. Voting for the election will commence in the form of an online poll following the close of the AGM and will continue for two weeks thereafter. The election will be overseen by an independent Electoral Management Group (EMG) consisting of the CST Secretary, a member of the CST and an independent representative. For details on election policy, please contact the Trust Secretary by emailing secretary@chelseasupporterstrust.com. There will be nine (9) positions to be elected onto the Trust Board. Candidates will be elected without portfolio and the Board, once elected, will decide on the positions to be held by each elected Board Member. Return the nomination form and candidate statement no later than 2300 BST on Friday 3rd August 2018. Any nomination forms returned after this time will not be admitted. Decisions over the validity of nominations shall be a matter for the EMG. Any decision by the EMG not to accept a nomination as valid will be notified to the candidate as soon as practicable, whereupon the candidate may, if appropriate, take steps to rectify the situation. The decision of the EMG is final. Any complaints made to the EMG concerning the result of the election must be made no later than three working days after the close of the poll. Any complaint after this time shall not be admissible. No signatures are required if emailing, but name and email address of both candidate and nominator must be stated and it must be sent from same email address as the one registered on the candidate’s CST membership record. Welcome to the ‘winter’ newsletter. We hope you all had a good Christmas and New Year and are managing to keep warm in the bitter winter weather. Mind you, if you read the press at the moment it might make you hot under the collar with Chelsea apparently in crisis and about to part company with Antonio Conte, in spite of being 4th in the league, in the FA Cup and with Barcelona to play in the Champions’ League (correct at time of writing!). Crisis, what crisis? The Chelsea Supporters’ Trust Autumn Newsletter is now available. It covers the recent Annual General Meeting and election results; the date of the next Special General Meeting; a report on the latest supporter issues and the unveiling of the Jack Whitley Memorial. The results of the recent Chelsea Supporters Trust Board election and the voting on each CST Motion, as proposed in the AGM of 13th August have now been released. The vote for the new Board was an ‘affirmative vote’ with 9 members standing for election or re-election. Each member required 50% of the vote to be elected. We are delighted that each member standing received well over 90% of the votes cast and the following have been duly elected: Cliff Auger; David Chidgey; Henry Fowler; Charles Jackson; David Johnstone; Chris Rayburn; Ramzi Shammas; Dan Silver; Richard Weekes. We trust the membership will extend a warm welcome to new Board members Henry Fowler and Ramzi Shammas and to the returning Board members as well. The first meeting of the new Board will be held on Thursday September 14th where we will elect the positions of Chairman and Treasurer, Paul Jeffrey will remain in position as Secretary. Supporters Club Ticket Allocations (94.57 %). As you can see every Motion proposed by the Board has been backed positively and bar a percentage point or two unanimously! The Annual General Meeting of the Chelsea Supporters Trust was held at 14:00 on Sunday 13th of August 2017. The board elections will not be contested as there are 9 candidates standing and 9 positions available. The board election will thus take the form of an affirmative vote of each candidate in accordance with rule 8.3 of the CST Election policy (noted below). Voting for both the board elections and motions raised at the AGM will take place in the two weeks following the conclusion of the AGM (Sunday 13th August). No voting will take place at the AGM itself. The voting will take place online through SurveyMonkey. On the next working day following the AGM (Monday 14th August 2017), members will receive an email containing a unique link to SurveyMonkey where they will be able to vote in favour or against motions raised at the AGM and elect the new board.